Ogilvy India has been undergoing a transformation process. The agency’s business offering covers six capabilities – Brand Strategy, Advertising, Digital Transformation, Customer Engagement & Commerce, Influence & PR, and Partnerships, along with Ogilvy Consulting. 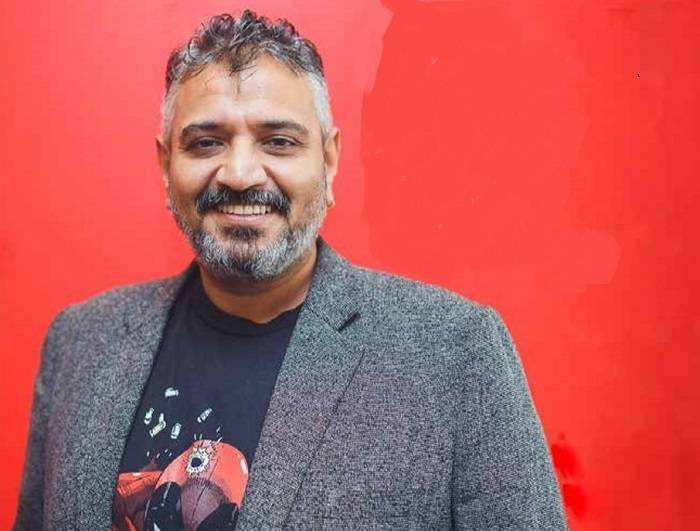 Last week, Piyush Pandey, Chairman, Ogilvy India, was named the new Global Chief Creative Officer of Ogilvy. He will take charge from January 1, 2019. Overseeing the change in India has been Kunal Jeswani, Chief Executive Officer, Ogilvy India. It was in January 2015 that Jeswani took charge as the CEO, a position vacated by Pratap Bose seven years before that in 2008. The CEO’s position was revived after a major restructuring in the agency. With the new structure, Ogilvy will now drive six capabilities. How are you taking ownership of every aspect of the brand? Ogilvy has been through a deep transformation. We evolved over many decades by building very strong services as independent business units. Today, we have brought all these services and business units together as one Ogilvy, with a common purpose and a common operating system. Under the Ogilvy brand, we offer 6 strong, specialist capabilities – Brand Strategy, Advertising, Digital Transformation, Customer Engagement & Commerce, Influence & PR, and Partnerships. In addition, Ogilvy Consulting cuts across all our capabilities. With this transformation, clients now see an Ogilvy that is easier to engage across capabilities and services, and one that can help them navigate the increasingly complex modern marketing environment. To put it simply, when you come to Ogilvy today, you will have a single window interface with one creative team, one client servicing team and one planning team –within those teams will be embedded specialist talent depending on what capabilities you need. It makes life a lot simpler for clients. The business is still the same, what we do is still the same, we’ve just infused it with specialist talent and made it simpler to engage. The structure is clean, it’s made us more nimble, and it’s made it easier for the brand teams to take ownership of every aspect of the brand. How do you view business growth at Ogilvy? Growth is tough and hard fought. We are growing, but far slower than we would like and in an environment that is far more uncertain and far more complex than ever before. If you look at all media spends, theycontinue to grow at double digits year on year. There is growth within the industry and we continue to benefit from it, but it does not come easily. It needs to be earned, year after year. The real challenge though, is talent. When we are able to retain and motivate our best people, growth is easier. With so many smaller agencies mushrooming, how does a large agency combat such a situation? Competition will always be there whether it is large agencies or small agencies or platforms. Six to eight years ago, when I was at OgilvyOne, there were new digital agencies mushrooming everywhere you looked. Far more than the new advertising agencies emerging today. I think when people start agencies, they start with an ideal or with a client. If they are lucky, they start with both. Then they get to a point where revenues cross Rs 10 crore - Rs 12 crore and it becomes a real struggle to sustain that and grow beyond it. You will see very few small agencies that go beyond Rs 10 crore and are able to sustain significant growth over that. There are just a handful of such agencies. I do think, however, that it is healthy for the industry to have new independent agencies with new blood at the helm. New agencies create new business models and in many cases drive innovation. But there is a certain scale you need to be able to operate at to be able to serve the large multinational clients and the large Indian brands. It is not easy to do that when you are operating on a small scale. We have over 1,200 people churning out incredibly high quality work for Ogilvy clients across the country, at a pace and consistent quality that is impossible for smaller agencies to compete with. That said, everybody finds their own space. Start-ups and small agencies that come up will find their own space, they will find a certain set of clients who are happy to work with them. Clients that do not need the creative firepower or the kind of scale of support that we can offer. The way to combat any kind of competition is to keep investing in the best talent in the business. The real differentiator is when you are able to deploy fantastic talent on large brands to deliver everything the brand needs, across every touch-point, at high-quality and at scale. How is the East market shaping up? We have really strong leaders in our Kolkata office – Sujoy and Mudassar lead the office together and have built strong client relationships on the back of some great work. With clients like Vodafone, Zandu, Greenply, Bandhan Bank and many others, this is a strong, shining office. Kolkata has also become one of the best offices from a design capability perspective. The team has built strong design credentials with a body of great design work and currently works on design projects for many of our clients across India. How are the digital plans of the agency taking shape as a whole? We are, today, the single largest digital creative agency in the country. The challenge for me, consistently over the last 5-7 years, has been to keep pushing forward from a capability perspective, quality of business perspective, and quality of work perspective. I am glad to see this shift year after year. Moving to the one Ogilvy structure has also democratised digital, taking it across almost all our capabilities and making it everyone’s responsibility.While we still have digital planners and digital teams, they are embedded in the larger brand teams. If you take the Vodafone team or the Mondelez team, there is no separate advertising team and digital team. There is one team that works on everything together; of course they have digital specialist resources but the whole team is thinking and delivering at an integrated level. A couple of weeks ago, we launched the Google Creative Intelligence Partnership (CIP) in our Mumbai office. The CIP is a first of its kind partnership between Google and a creative agency anywhere in the world. Google has access to a wealth of information on consumers, their habits, how they use mobile devices, and how they consume video. What they are willing to do now is come to us with that intelligence and help us make our creative work on digital platforms more effective. They have committed resources to this partnership from their end; there is a committed team who will work with Ogilvy for all our key clients. We will soon talk about our partnership with Facebook in India as well. The Brand Equity Agency Reckoner ranked Ogilvy as the #1 Digital Agency in India this year. And we will keep pushing to ensure clients see us at the forefront of the changing communication environment. There is a lot more on the cards on the digital front. These are exciting times. How do you view the growth of mobile marketing in India? I remember when I was at Cannes in 2013, and the theme across the Cannes Lions was that this is the ‘Year of Mobile’. Almost every year since then we’ve had the statement that this is the ‘Year of Mobile’. The fact that mobile phones have taken up most of our lives is a given for all of us. We spend all our time on these devices, consuming content and engaging one another on social platforms. The question for brands from a communication perspective is how much of what we are doing is relevant for this device. If you look at social media that has been the driver of brands thinking mobile first, all the major platforms at some point 4-5 years ago, went to their staff and told them to shift their thinking from desktop to mobile. Today, I think that 80 per cent+ access of Facebook and YouTube is through mobile devices. That pushes clients and agencies like us to innovate across platforms with a focus on how our content will be consumed on mobile formats. Any piece of creative that we do for any platform today is mobile first. We are not driving this change, the consumers are. We’re trying to keep up. How are clients looking at mobile? Clients are on board. They understand the importance of the device and are willing to put money behind it. The question is whether we are pushing them hard enough from a creative perspective on mobile. There is a lot more work to be done here. How do you see things shaping up for Ogilvy in 2019? 2017 was tough, but 2018 has been a good year. I’m hoping 2019 will be better. Our India structure is divided into three geographies – there is Ogilvy North, Ogilvy West & East and Ogilvy South. North has been stable and with the elections around the corner, 2019 should be a strong year. West and East have had a fantastic 2018 and are looking very strong for next year as well. South has seen one of the best years, winning many local new businesses and I’m sure that energy will continue into 2019. How do you see the election season impacting advertising in 2019? I don’t think brands start spending more or less just because elections are around the corner. When there is a high degree of uncertainty, then clients start pulling back, however, I don’t think that’s the case right now. Most clients are positive about the elections and they will spend as much as they do in any good year. I’m sure the government will spend significantly as all governments do pre-elections. Other than that, I don’t see the elections having that dramatic an impact on the marketing and communications business. If the results of the elections provide us with a strong government with a clear majority, it will give everybody a lot more confidence andyou will see a stronger second half. What policies have you implemented to avoid #MeToo-like scenarios? For the last few years we have had an Internal Complaints Committee (ICC) in place in each of our key offices – Mumbai, Delhi and Bengaluru. I send an email out every quarter to the whole company sharing our company policy on sexual harassment, explaining that we have zero tolerance for sexual harassment of any kind, and helping employees understand the various options open to them to raise their voice against harassment of any kind. We take every complaint seriously. There is a detailed procedure set down to respond to any complaint, investigate it and act quickly and fairly. We are also required to keep our regional and worldwide HR & Talent leadership informed on every single complaint and every stage of investigation. There is a strong adherence to due process and enough oversight to ensure a fair assessment and quick action.